In the last hours before election day, a disabled artist-activist will highlight the impact of government cuts, with a six-hour performance in which the stories of 650 people at austerity’s “sharp end” will be broadcast over the internet. The performance will take place tonight (Wednesday) at low tide on the foreshore of Ladye Bay, Clevedon, near Bristol, and will be audio-streamed via the project’s website. The reading will be accompanied by the ceremonial firing of 650 small clay human figures, each one paired with an austerity story. The figures were sculpted last month at low tide on the foreshore of the River Thames over 11 consecutive days and nights by disabled artist-activist Liz Crow, and are made from raw river mud collected by hand from the River Avon. Each time a figure was made, a corresponding story – covering issues such as benefit reform, local authority spending cuts, homelessness, malnutrition and NHS rationing – was released on social media. At first light on election morning, the figures will be reclaimed from the bonfire that has been burning through the night, and gathered and prepared for the final phase of the performance, details of which will be announced after the election. The 650 stories – one for every UK general election constituency – include 61-year old Anne, who ran out of money and was living without heating or hot water over the winter until she received help from a charity. She received disability living allowance and pension credit, in total about £120 a week, but her weekly electricity bill alone was £40. 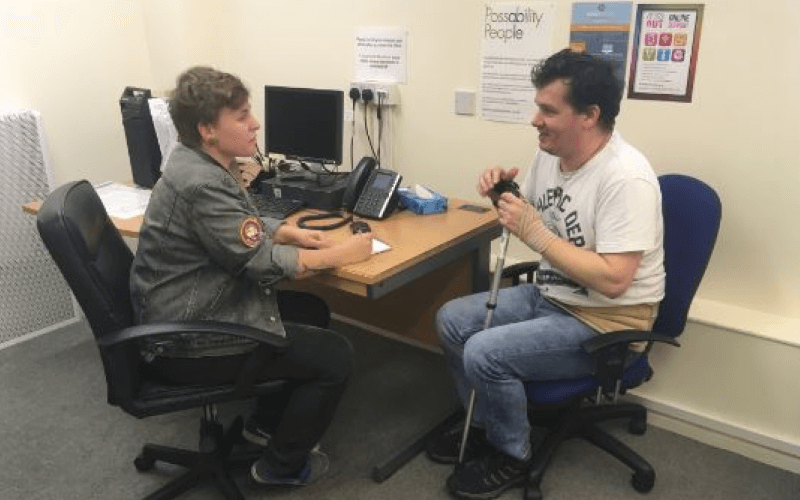 Another story is that of James, who was deemed unfit for work by Atos after an occupational medical assessment and lost his job, but was then assessed as “fit for work” by the same company when he subsequently applied for employment and support allowance. Another of the 650 stories describes the situation faced by Julian, a wheelchair-user who had been diagnosed with kidney failure, and was 47 when he died. When the coalition’s bedroom tax was introduced, he was told he would have to move to a smaller property, which would mean the loss of his essential dialysis room. Crow has described We Are Figures as “a political artwork, but intentionally not party political”, and says she wants to raise questions about “how we treat each other, what kind of society we want to be, and what role we might each of us have in bringing that about”. She told Disability News Service this week that We Are Figures was reaching “an extraordinary range of people”, from people sleeping on the foreshore of the Thames because they had nowhere else to stay, to a smartly-dressed City worker who was “shocked” by what he learned of the impact of austerity. Crow said that tomorrow’s general election would trigger conversations, but the election was “not what was going to solve this”. She said: “This project is one more thing to try and reach people with the reality of what is happening and to support them to see what role they have in changing it. One carer told Crow how he had been “interrogated” by the Department for Work and Pensions and accused of not being a carer and of “defrauding the system”, even though he believed they knew he was legitimate and were just “setting out to frighten him”. 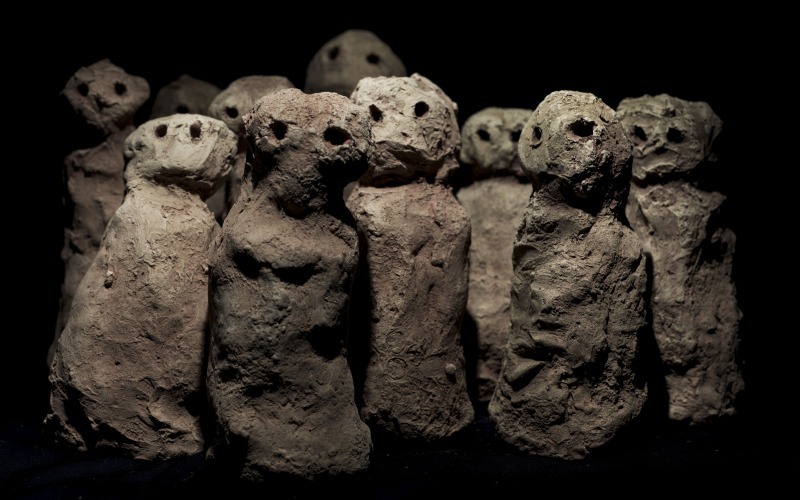 Crow said austerity had had a “catastrophic impact”, as demonstrated by the stories represented by the 650 clay figures. She said: “We have had people who have died in ways absolutely associated with austerity, who certainly would not have died without the implementation of austerity. “But also there are people in there who it has not had a significant practical impact on, but the level of insecurity and day-to-day fear [has been]catastrophic. “I would look at my own situation and I would say I had managed to pull together a kind of fragile security before this, and that has gone. Although the project is not party political and is not just about the election – but also its aftermath and the likelihood of further cuts justified by austerity – Crow said she was nervous about its outcome. She said: “I don’t think there has ever been an election when my stomach has churned to the extent of this one. “I am afraid what way the vote will go, [although]whatever way it goes we are just in for more austerity. Crow said she agreed with many disabled people that there was no political party that represented their interests. Although the Green party has pushed an anti-austerity line, and included a number of policies designed to boost disability rights and inclusion, its manifesto also includes a commitment to legalise assisted suicide, a position strongly opposed by most of the disability movement. The political sensitivity of the project has hit home twice in the last few days, with two local authorities – one Labour and one Conservative – banning the exhibition from visiting their area. One of the councils confirmed a booking for the We Are Figures exhibition but then cancelled it with just 48 hours’ notice after taking advice from lawyers. In place of the visit to the London borough, the We Are Figures team visited the start of the central London May Day rally – which was marking International Workers Day – and then moved to the rally’s finishing point in Trafalgar Square. The following day, they visited Witney, the constituency of the prime minister, David Cameron.